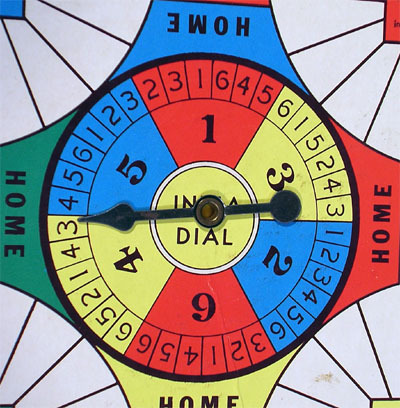 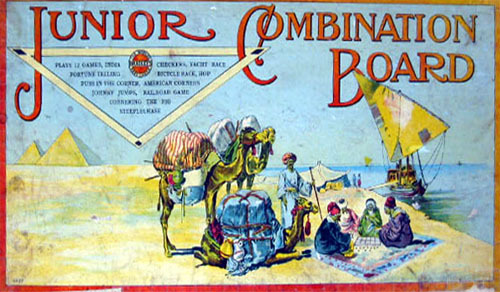 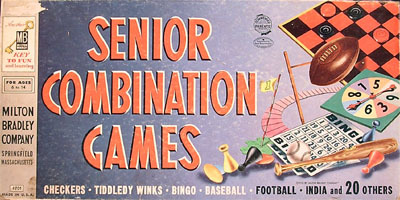 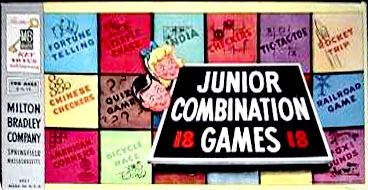 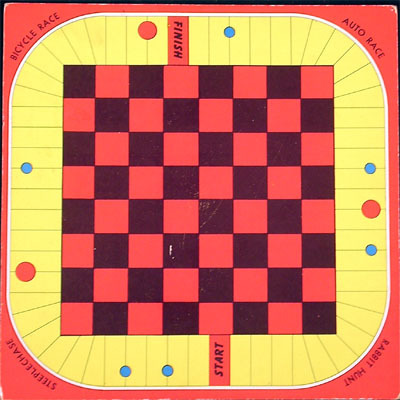 An early example of a cycling game included in a combination games' box. 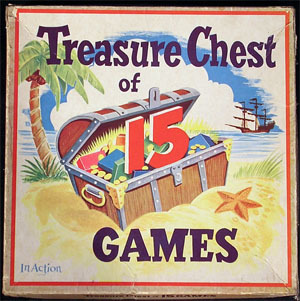 Milton Bradley has been releasing similar boxes since 1905 until, at least, the 1960s. 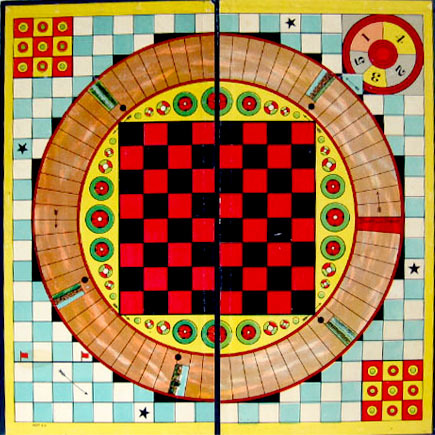 Compare the boards and spinners (MB's on the left). 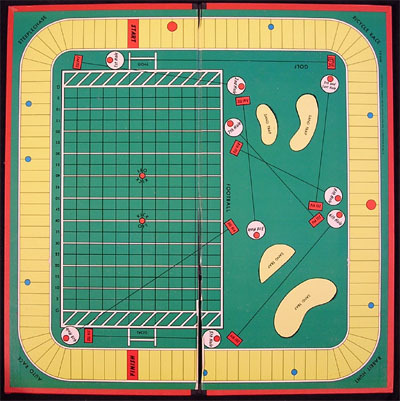 Remark that MB's track is twice as long. 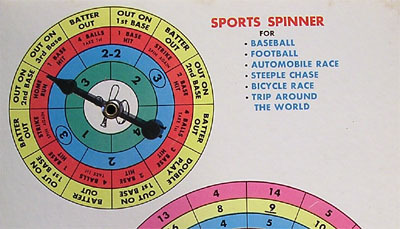 The rules of these games are identical though, to the ones shown above.